All Teacher Editions (TE) are reproducible. Student Editions (SE) are sold as consumables with a minimum order of 10 books. 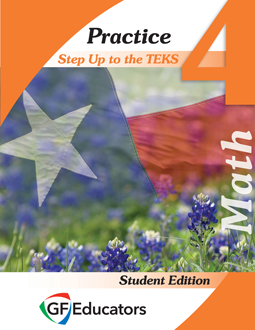 View a Sample of the 4th Math Practice Student Edition by sending an email to info@stepupteks.com asking for the password. Accompanies the 4th Math Practice Teacher Edition.